Next week we are hosting a blog hop with our amazing product partners. The partner hop is a quarterly event where we familiarize you with some of our partner companies, while providing inspiration for how our products work together. It’s also an opportunity to win a Sapphire™ machine, Sapphire™ dies AND Partner products! This quarter’s 3 day summer event begins on Monday, June 29th and ends on Wednesday, July 1st. Over the course of 3 days visit each of our featured partners for tutorials from their designers. Each partner will link to the entry form. 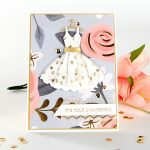 One Daily Winner will win the product featured on that day, including the Sapphire™ dies.One Grand Prize Winner will win all the products featured, the Sapphire™dies and the Sapphire™ machine! You must visit all the tutorials over the 3 days in order to be eligible to win the daily and the Grand Prize giveaways. The Winners will be announced on the Spellbinders blog on Friday, July 10th. (Winners will be notified via email.) The featured partners may also be hosting their own special giveaways… so be sure to check them all out! The first hop entry will open on Monday, June 29th at 8:00 am Eastern Standard Time (EST). Each Hop Tutorial starts at 8:00 am Eastern Standard Time (EST) on the date listed. Click the giveaway link to complete the entry form on the respective partner blog posts each day. We will allow entries from each blog for each day of the three day event for 48 hours. It consists of 11 individual tutorials to be eligible to win one official grand prize drawing. Spellbinders is not responsible for additional contests or prizes held on these 11 blogs. Sapphire™ dies featured. Spellbinders staff will determine which two Sapphire™ dies are included in the prize pack. The Daily Winner will be randomly drawn from the pool of entrants that completed entry forms from each and every participating blog during the 48 hours each blog was open. Only one entry per person, per blog is allowed. The Grand Prize Winner will win all of the prizes partner prizes,Sapphire™ dies AND a Sapphire™ machine. The Grand Prize Winner will be randomly drawn from the pool of entrants that completed entry forms from each and every participating blog during the 48 hours each blog was open. To be automatically eligible for the Prizes, entrants must use the same email address for each entry, no exceptions. All winners will be emailed beginning Mon, July 6 and will have 48 hours to reply to that email to claim their prizes. A new winner will be drawn if a winner fails to respond. 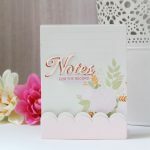 The winners will be announced on Spellbinders’ blog on Friday, July 10th. Your entry constitutes permission for SpellbindersÂ® to add you to our email database, to publish your first name, city, state, and country of residence along with a quote from you to be used on the Spellbinders Blog and in promotional materials. The Hop is open to entrants worldwide. not be considered Blog Hop entries. Any questions regarding this contest should be sent to contestquestions@Spellbinders.us. 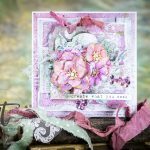 This blog hop is sponsored by Spellbinders Paper Arts, located in Phoenix, Arizona, USA. Spellbinders designers, contractors, employees and immediate family members are not eligible. By sending an entry form, you are agreeing to the Official Rules. There is no substitution, transfer, or cash equivalent for prizes, except that Spellbinders may, at its sole discretion, substitute prizes of comparable value. The prizes are expressly limited to the item(s) listed in the blog posts and do not include taxes, gratuities, duties or any other expenses. Other restrictions may apply. The recipient of any Spellbinders product is solely responsible for any federal, state, city, or local income tax reporting, payment, or consideration as required by law in any country. Spellbinders is not responsible for late, lost, illegible, misdirected entries, and Spellbinders does not assume responsibility for any error, omission, interruption, deletion, defect, delay in operation or transmission, communications line failure, theft or destruction or unauthorized access to its websites or partner websites. Spellbinders is not responsible for any problem or technical malfunction of any computer on-line systems, servers, computer equipment, software, failure of any email or entry to be received by Spellbinders on account of technical problems, human error or traffic congestion on the internet or any website or any combination thereof.